This, of all things, is my first post – a sangria recipe. It captures what my summer is shaping up to be – one recipe after another, one ingredient after another, completely taking over my senses. Nectarines must be in season because they’ve been appearing everywhere – on a roadtrip from San Francisco back to L.A. and at Trader Joe’s while shopping for a camping trip to Manker Flats. 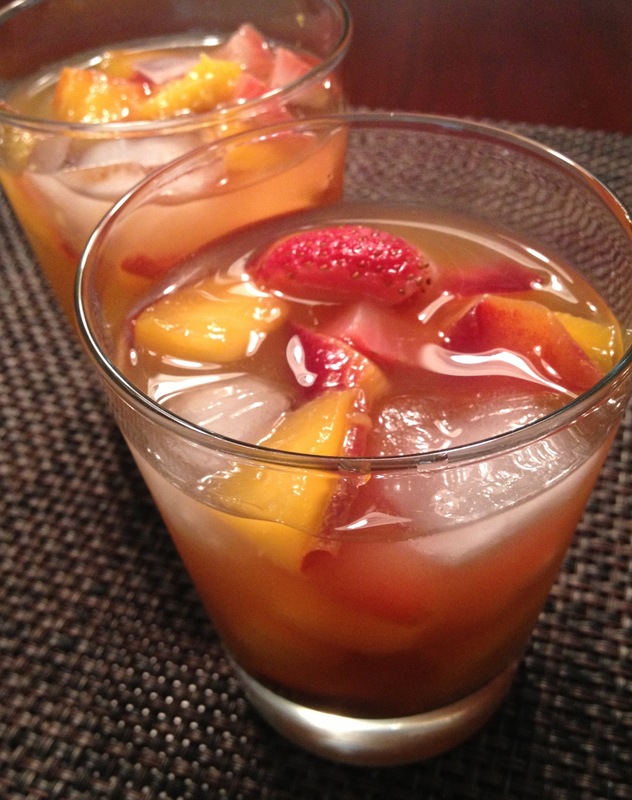 I wanted to make a white wine Sangria with peaches but all I wanted were nectarines, so after reading through a couple of recipes, I created this. I Can’t. Get. Enough. Some cool nectar for a hot summer night, with friends. Sitr the white wine, Grand Marnier, and peach nectar in a pitcher. Then add the chopped nectarines and strawberries. Refrigerate overnight. Serve over ice.